My second* podcast interview is for the wonderfully brooding and always entertaining Raul Aguirre Jr.’s Man Vs. Art. Raul Aguirre Jr. has been in the animation biz since 1994, when he was hired as an animator on Disney’s Lion King feature. Since then he has animated on many other Disney features, and has worked on many TV series as storyboard artist and director. We had a great talk about storyboarding – and I had a chance to spout off on all my favorite artists who have influenced my work! …where you can also listen to or download the podcast. Let me know whatcha think! but I liked the way the colors looked on these, so I scanned 'em in color. In case you haven’t seen the movie, SpongeBob goes on an ice cream bender after getting passed over for a promotion at the Krusty Krab. When he wakes up the next morning, he’s pretty ornery! Aaron Springer did the original rough sketches for this scene, so I had some great art to start with! DisneyToon Studios is looking for Character Designers and BG Painters for the TinkerBell franchise. ...so she can review their work. Links to websites are preferable. Ken Hultgren went on to draw comics throughout the 40s 50s and 60s…from the ACG funny animal titles to the Mickey Mouse comic strip, and even Flintstones and Archie Comics. 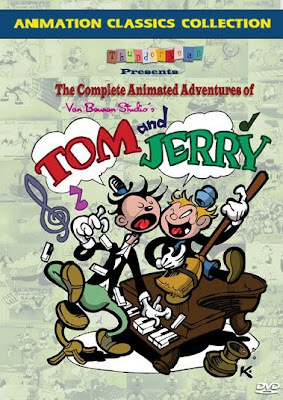 Ken Hultgren remained an animator all during this time, and continued until his death in 1968. Click on any image for a BIG comic book scan! His work lives on in the classic drawing book, “The Art of Animal Drawing,” which has been in print since 1951. Great book, by the way. Recently, I've had the pleasure of being a guest on a couple really cool podcasts. The first one is called The Idiot Engine, a very in-depth examination of creating comics, the philosophy of art, and self-publishing. My old pal Ted Seko has been hosting this show for quite a while, and it always makes for great listening. The topic of this show is, "how to breathe life into your artwork." Ted and I talk about all the things that have worked for us during the course of our cartooning careers. I guess this is pretty normal for podcasts, but the conversation steers off-topic a number of times for some interesting rabbit trails into the minds of the couple of guys that draw to live and live to draw. Here’s a SpongeBob comic book story I did for Nickelodeon Magazine back in ought-two. This was done during the break between the end of SpongeBob’s 3rd season and before production started on the Movie. It was fun ‘cause I finally had a chance to get back to my comic book roots, and reach a huge audience, too. inked by Vince Deporter, coloring by Digital Chameleon. Anyway, just click on any image to open up a HUGE high-resolution comic page. I’m not sure why, but I’ve never posted any of my Nick Mag comics before. Oh, wait…I remember why. I was still freelancing for Nickelodeon Magazine and I didn’t wanna make them mad. But last December the magazine shut its doors, so here they are. ^ That was a fun panel to draw! into book form: Comic Crazy! Otto Messmer finally wraps up this 1930 Felix the Cat adventure by helping Felix return home from Mexico. He was clearly making this up as he was going along, but it’s still loads of fun! I’ve got my new Basil Wolverton Culture Corner book on order, so in anticipation of its arrival, I’d like to celebrate by pointing you toward a set of amazing scans of rarely-seen Wolverton comics! Courtesy of the Golden Age Comic Book Stories blog, comes this mother-lode of Wolverton wonderfulness: Thirty-something pages of golden-age comical weirdness, featuring three different stories about a hotel clerk named Berserk McJerk/Berk! A Well-Drawn Funny Newspaper Comic? Really? YES! Tomorrow: Felix the Cat in "Cockfight"